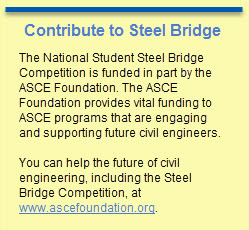 The ETS steel bridge team took first place in the national competition for the first time in school history. 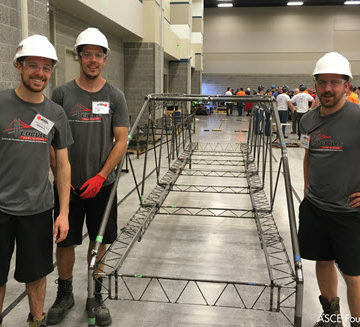 The champions of the 25th annual National Student Steel Bridge Competition are from a school winning it for the first time — École de technologie supérieure of Montreal, Québec, Canada. 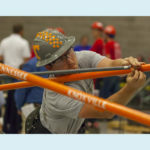 From across the world, 48 student teams converged on the campus of Brigham Young University in Provo, UT, May 27-28. In addition to continental U.S. universities represented, teams from Puerto Rico, Mexico, Canada, and from Tongji University in Shanghai, China, took part. The finals represent the culmination of a school year’s work by each team, developing and refining their bridge designs and construction methods. 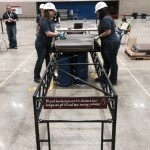 The competitio n rates each team and its bridge in construction speed, bridge lightness, display, stiffness, economy, and efficiency – all feeding into an overall winner. California Polytechnic State University, San Luis Obispo finished second. The defending 2015 champions, the University of Florida came in third, but could celebrate first place finishes in efficiency and lightness. While ETS did not place first in any individual category, the team and its bridge were strong enough across the board to capture the overall championship. 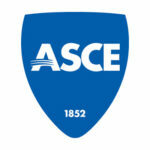 This year’s rules reduced the cost of steel by half. The enthusiasm of sponsors and teams for the event was captured by their social media posts to Facebook and to Twitter at #NSSBC. Witnessed the enthusiasm, energy & spirit first hand. Our professions future will be in great hands! Grateful for the dedicated volunteers (students, faculty, organizers, helpers, judges, & spectators…) who make the competition exciting and successful.